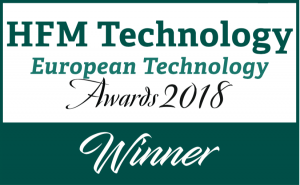 Edgefolio’s fund data management & analysis solution has been voted “Best CRM for the Hedge Fund Industry” by the European Hedge Fund Technology Awards 2018. The ceremony, which took place on Tuesday 11th September at Plaisterers’ Hall in London, recognizes technology providers across 30 different categories that serve the hedge fund sector and have demonstrated excellent customer service and innovative product development over the past 12 months. 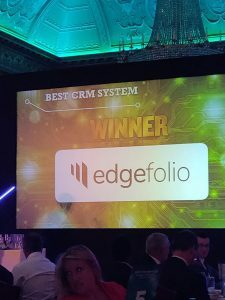 Edgefolio is delighted to have won this prestigious award and remains dedicated to developing industry-leading, compliant solutions for some of the world’s largest hedge funds. 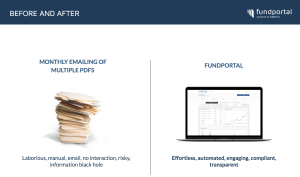 Here at Edgefolio, we want to make it easy for fund managers to tap into new leads, using the new User Analytics tool, while simplifying the communication process to their existing clients. We strongly believe that Technology is not a differentiator anymore, it’s essential. That’s why our CRM is not a copy of the classic versions of previous times. 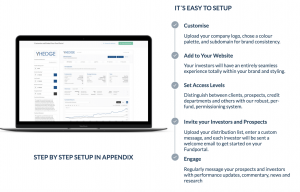 After numerous surveys, interviews and feedback from industry leaders, we found that what allocators and Fund Managers need, is not just a way to report their processes. We have built our software with that in mind: We want to present your branded new tool, the one that helps you skyrocket your efficiency and accelerate your processes. Wanna learn more? You can easily get in touch here, get a sense of our product here, or find us on any social media. Feel free to reach out directly, we are always keen to have a personal talk with you. Many thanks to all for the recognition. Cheers to many more that will come! P.S. subscribe to our newsletter here!